Drivers gain confidence with experience. Most reach a level of comfort that makes driving second nature -- they just jump in their car and go. But, driving can be a bit more complicated for people with arthritis. Joint pain and other physical limitations can make it difficult to get in and out of the car, to start the car, to back up, and more. The good news is that car makers have developed features that make driving easier for people with physical limitations or disability. Let's consider a few. Some of the newer car features were developed with convenience in mind, but for many people with arthritis, the features are a necessity. 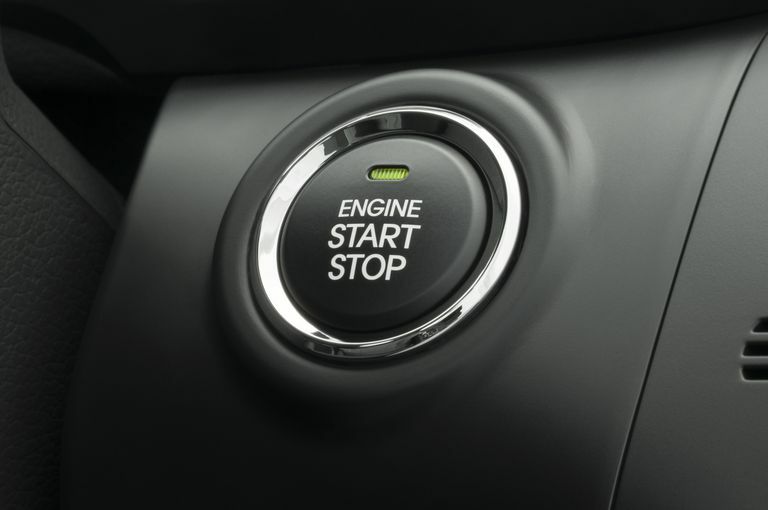 For example, a push-button keyless starter allows you to start your car without having to insert a key and turn. Instead, you simply push a button to start your car. You still need the key fob in your possession, inside the car, but it is an intelligent system that makes recognition of the key sufficient. You don't have to insert it and turn it. Do you remember cars from decades ago that required insertion of a key to unlock a car door, and required that you push a rather cumbersome button on the handle to unlatch it? If you had arthritis in your hands, wrists, elbows or shoulders—ouch! Next came lift handles on the car doors, but you still had to insert a key to unlock the door. In recent years, keyless remotes were developed, making the process easier. Inserting a key became a thing of the past with newer model cars that merely required you to have a remote in hand. There is now a keyless entry system that doesn't even require you to have the remote in hand. The remote can stay in your pocket or purse. It can be difficult for people with arthritis to get comfortable in the driver's seat. The seat may need frequent adjustment if you share the car with another driver. Even if you don't share the car, you may need to adjust the seat often for your own needs. One day, your back may hurt. The next day, it may be your hip or knee that is bothersome. Positioning the seat can relieve stress on painful joints. A six-way power seat makes the adjustment a snap, allowing you to find the optimal position easily. It can be very difficult for a person with arthritis to turn their head to back up. Using the rearview and side mirrors give some perspective but that doesn't assure a clear view of what's behind the car. A backup camera mounted on the rear bumper allows you to see what's behind the car. When you shift into reverse, the image from the camera appears on a monitor in the dashboard. Power lift mechanisms can make it much easier to open the trunk of your car or the liftgate on an SUV. Some mechanisms simply pop the latch, but others actually lift the hatch door and close it without you having to touch anything but a button. Cruise control is helpful for freeway driving or long-distance driving. By setting the control to hold at the desired speed, cruise control allows you to take your foot off the accelerator. This isn't an auto-pilot setting. You still need to pay attention and be ready to slow down as traffic dictates, but your right leg definitely gets to relax with cruise control. Remember when you used to have to write down directions to a particular location? You had to drive safely while looking for street signs. Glance up, glance down, get confused, turn around. Those days are gone. Cars can be equipped with a navigation system which has the most current street maps. Many navigation systems can speak the directions as you drive after you enter the starting, and ending addresses. If you are in the market for a new or used car, you should focus on available features which may make driving safer and more comfortable. Price and style used to be the two primary considerations when buying a car. Now, there are more options to consider when trying to find the best car for someone with arthritis. Going Keyless. Edmunds.com. Warren Clarke. 5/5/2009. Should I Buy a Car's Factory Navigation System? Ronald Montoya. 9.13.2011. Can You Keep Your Job or Career When You Have Arthritis? Can Using Bromelain Help Your Osteoarthritis Pain?